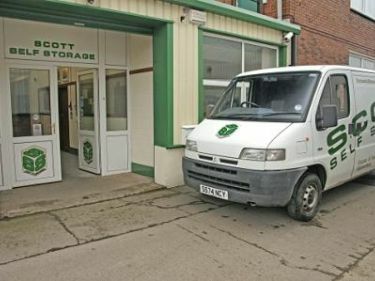 The use of the van is at the discretion of Scott Self Storage, and is to move belongings in and out of storage locally. The use of the van is subject to availability and we are under no obligation to supply you with a van if ours is not available. ON RETURN WE REQUIRE – Failure to comply will forfeit deposit. Receipt for diesel -we will charge £2 per mile + a fuelling charge of £20 if the diesel is not replaced – THIS WILL BE TAKEN FROM YOUR DEPOSIT. We will inspect the van with the driver on return for any damage not listed on the questionnaire sheet – Any damage will result in the loss of your deposit. We require the van to be returned to us in the same condition that it leaves. We have the right to charge a suitable cleaning fee at our discretion. Safety equipment returned to office. IF OUR VAN IS NOT RETURNED BY THE ABOVE TIMES OR OUR STAFF ARE REQUIRED TO STAY AFTER CLOSING TIME YOUR DEPOSIT WILL BE FORFEIT IN FULL.